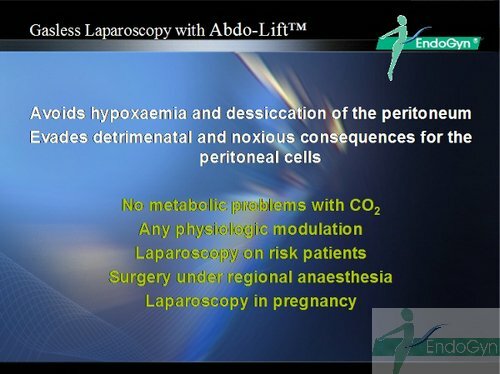 Laparoscopy with gas (CO2 = carbon dioxide) has many disadvantages for patients and surgeons. "blindly" and therefore this complications can not be avoided completely. You can read about other complications in the menu > Why gasless?. Would you eat your chicken like this ? he simply looses his "hand". 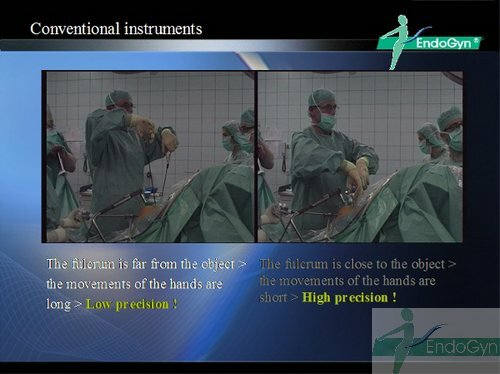 The surgery becomes less precise, difficult, dangerous and takes more time than a laparotomy. The operations with the long instruments are difficult to learn. 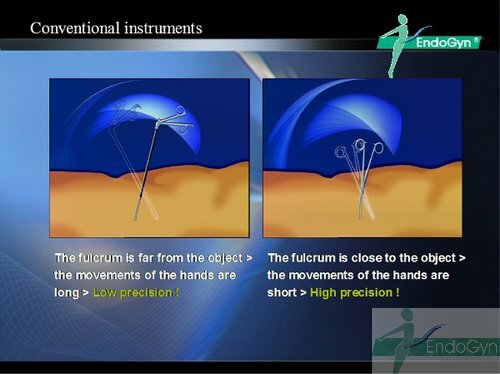 Therefore worldwide only 10 % of the surgeons are performing laparoscopic surgery. 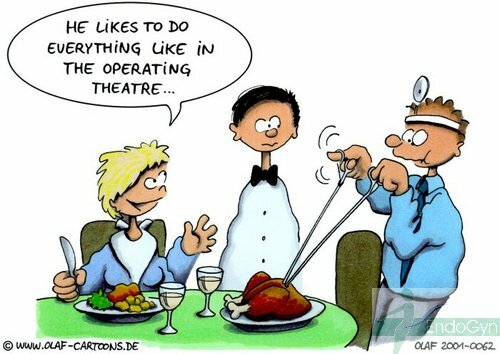 It means that 90 % are performing open surgeries (laparotomies)! to all the patients throughout the world. 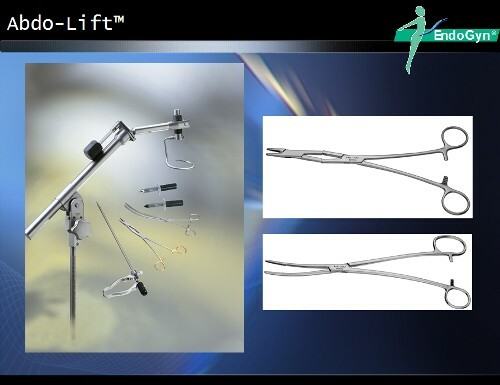 Here are some slides with the advantages of Lift – Laparoscopy.